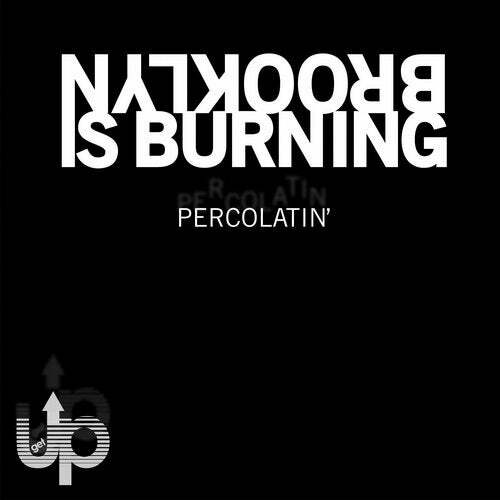 Get Up Recordings continues a steady string of releases with "Percolatin'" from the New York City-based collective, Brooklyn is Burning (Nita Aviance and Adam Joseph). Nita Aviance is one of the most sought after DJs in the NYC Underground club scene and has been creating a buzz with his production work, especially for his remixes for Scissor Sisters and Beyonce. He is also currently one-half of the dj/production duo, The Carry Nation. Adam Joesph is a prolific producer, songwriter and vocalist. He was featured on Super-Producer Bob Sinclar's Album "Born in 69" with the track, "The Way I Feel". Percolatin' is a bumping dance track reminiscent of the 90s house scene. With its melodic keys, catchy vocal hook and infectious bassline, it is sure to become a future house classic. The release features remixes from fellow NYC DJ/Producers Eli Escobar and Michael Magnan. Eli Escobar is the quintessential New York City DJ. Over the past ten years he has built a reputation around his parties, emerging as one of the most talented DJs in the NY dance scene. His talent as a remixer is reflected in the wide range of artists who have sought him out to turn their songs into something specifically his own. The list boasts work for Diplo, M.I.A., Britney Spears, Chromeo, Holy Ghost!, Pase Rock, and Amanda Blank. His remix for "Percolatin'" gets his signature acid treatment, accompanied by some dark funky house beats and jackin' vocals. DJ/Producer Michael Magnan dwells amongst the downtown music/fashion scene, which inspires his creativity, which in-turn, inspires others. Magnan fuses art, music and fashion together on his popular blog, Wickephobica and with his involvement in the collective, House of Ladosha. He is also one-half of the dj/production duo, Fatherhood, along with Physical Therapy. His remix of "Percolatin'" is very reflective of his DJ style: dreamy runway.